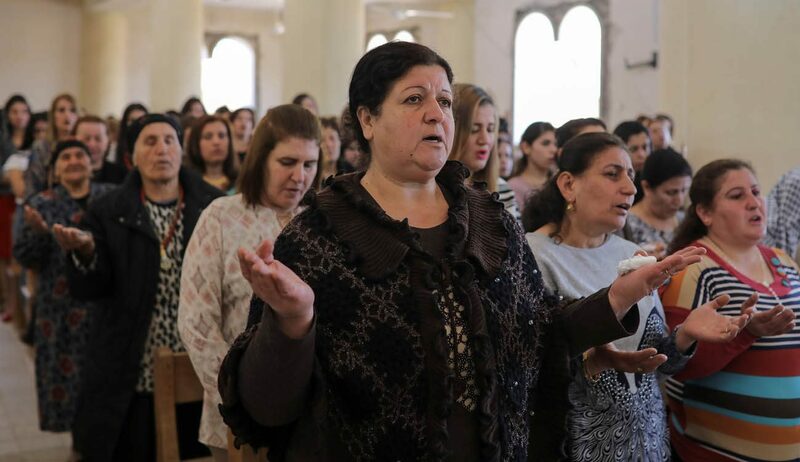 AMMAN, Jordan (CNS) — Iraqi Catholic leaders are urging Christians to remain steadfast in this Lenten season as they encounter challenges of the so-called Islamic State’s legacy in their historic lands. “There are problems with Bartella. Although Bartella is not far from Qaraqosh, the Shiites have been imposing themselves and using the force of Iran to take over territory, etc. The Christians of Bartella are very upset by this situation,” Archbishop Mirkis told CNS by phone. “The Christians of Bartella tell me: ‘We cannot go back. We don’t dare to go back.’ So, these people are still sheltering in Irbil or in the camps for internally displaced people in Kirkuk and Sulaimaniyah,” Archbishop Mirkis said of the northern Iraqi cities providing Christians with refuge. Father Youkhana said there are many reasons for the setback. He cited the “huge destruction of houses and the lack of public services, such as schools, health centers, water and electricity networks” among the debilitating factors. He also said the “uncertain and unstable political situation and the outcome of the ongoing political conflict between Baghdad (the Iraqi government) and Irbil (the Kurdish Regional Government) on the disputed areas, as (the) Ninevah Plain, make people hesitate to return” and instead remain where they have fled. He said a nationwide debate also has not yet taken place on why the 2014 catastrophe happened, nor on the ways to prevent it from happening again. Revisions to laws, curriculum, media, etc. are needed to build peaceful coexistence, with additional areas to be addressed by religious leaders and civil society, he added.